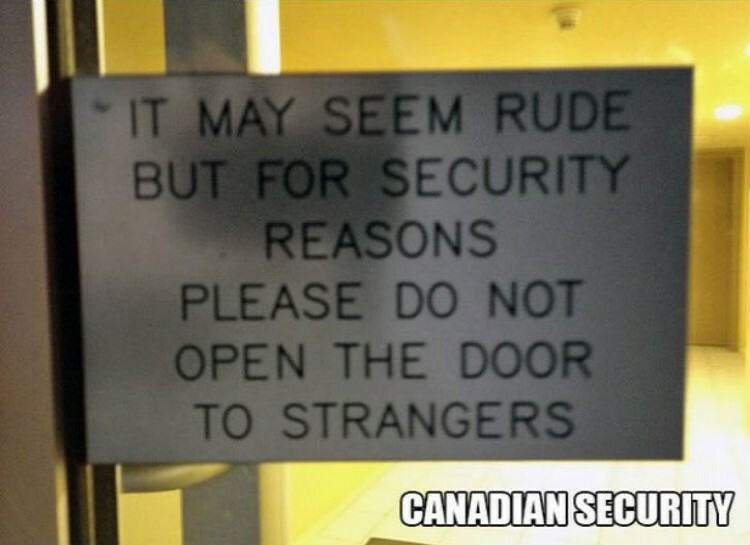 It may seem rude but for security reasons please do not open the door to strangers. Created about 3 yrs, 6 mths ago (September 27, 2015). Updated about 3 yrs, 6 mths ago (September 27, 2015).